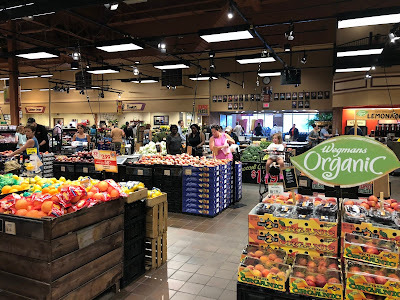 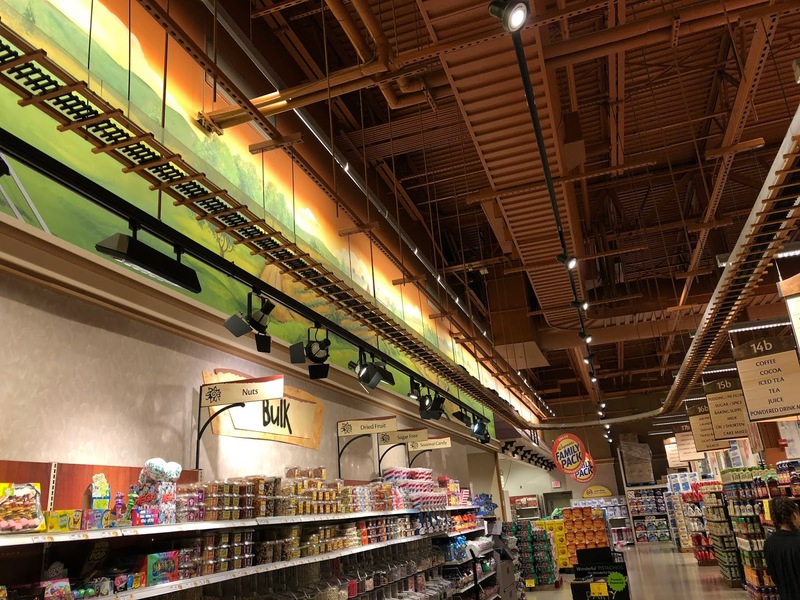 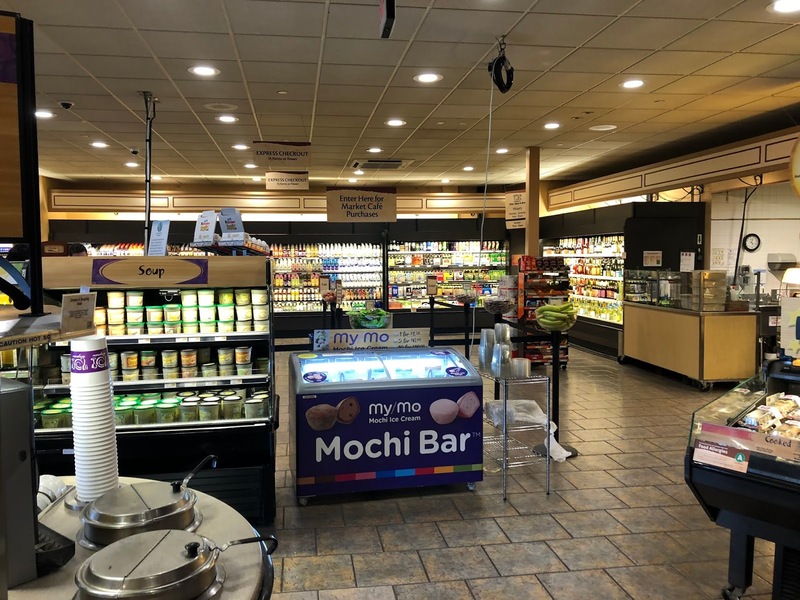 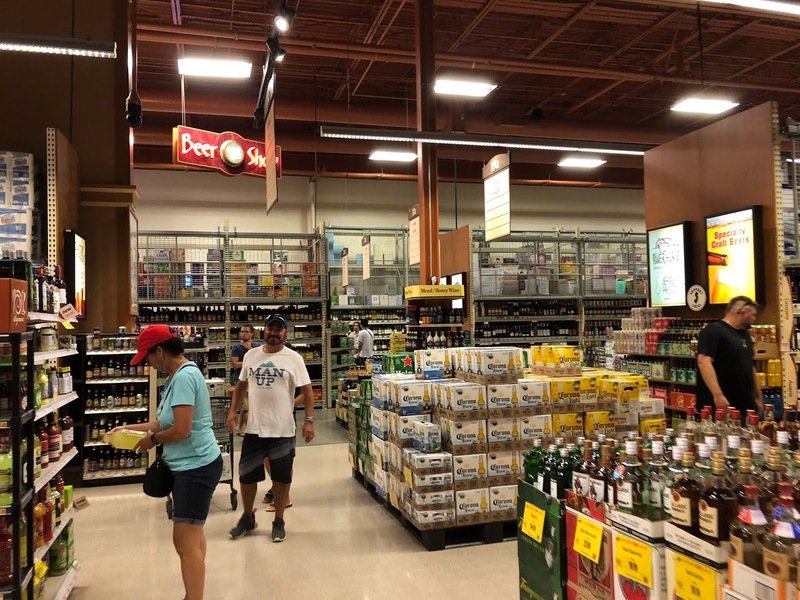 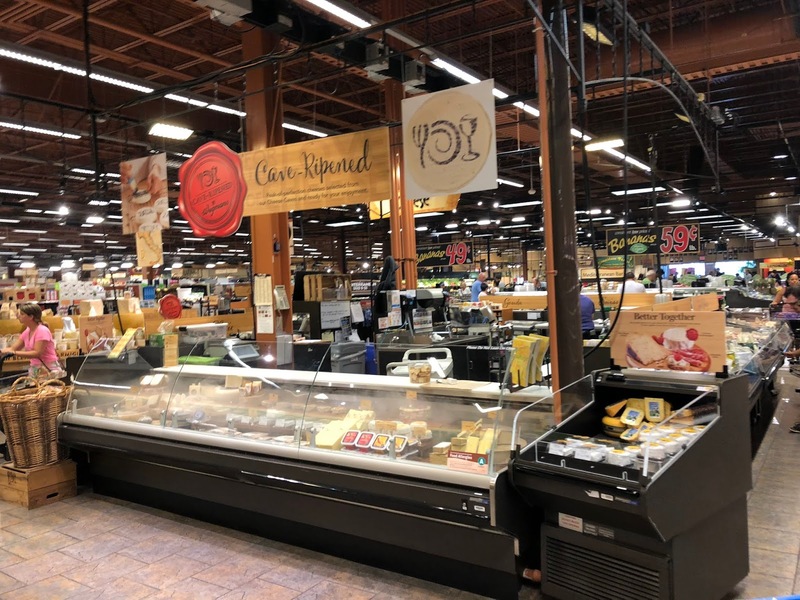 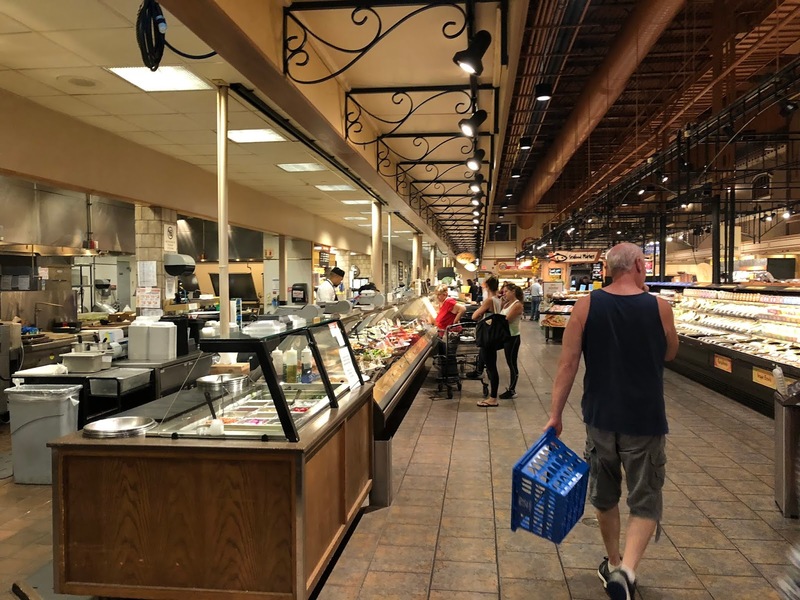 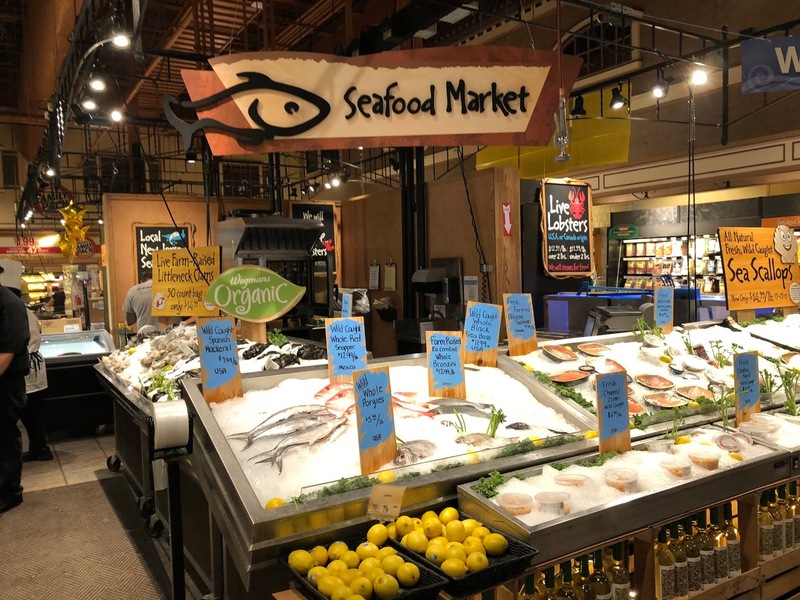 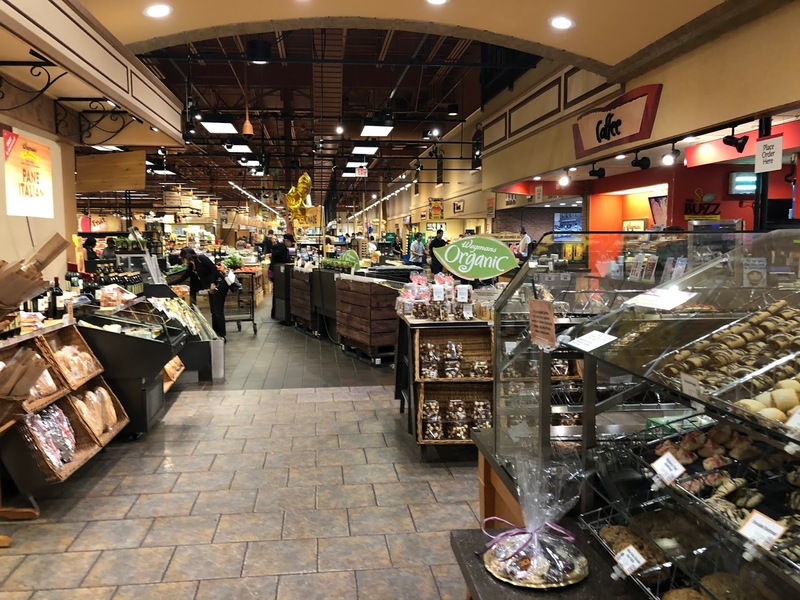 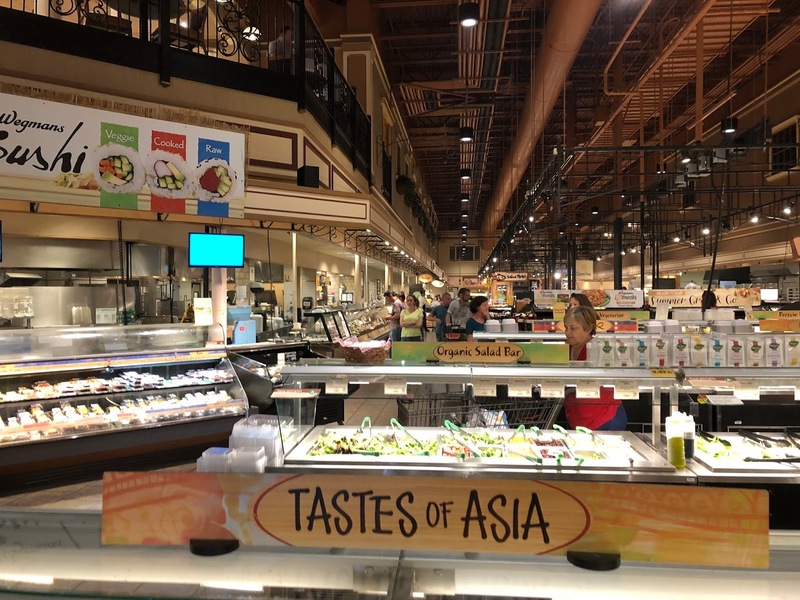 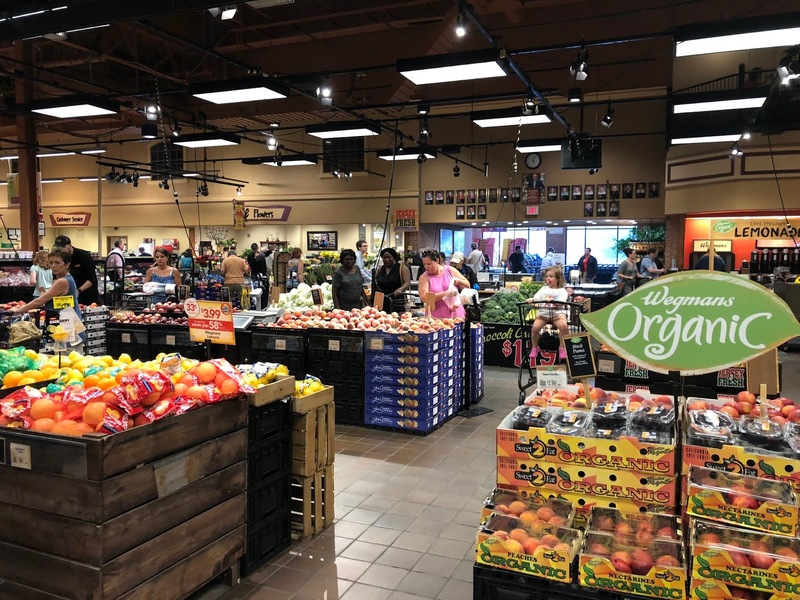 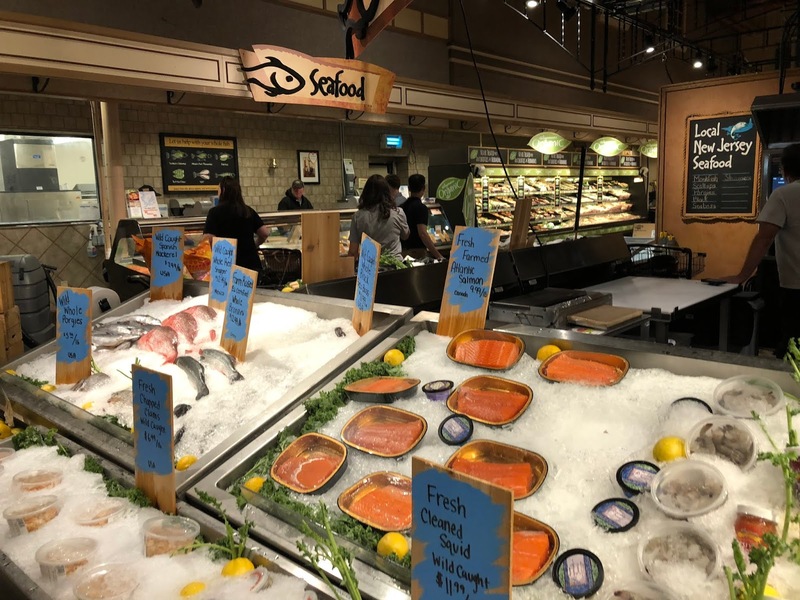 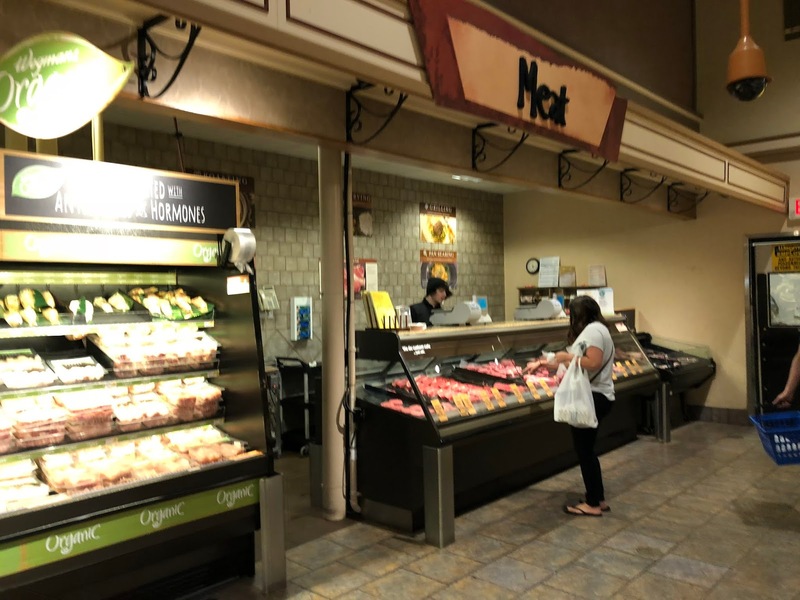 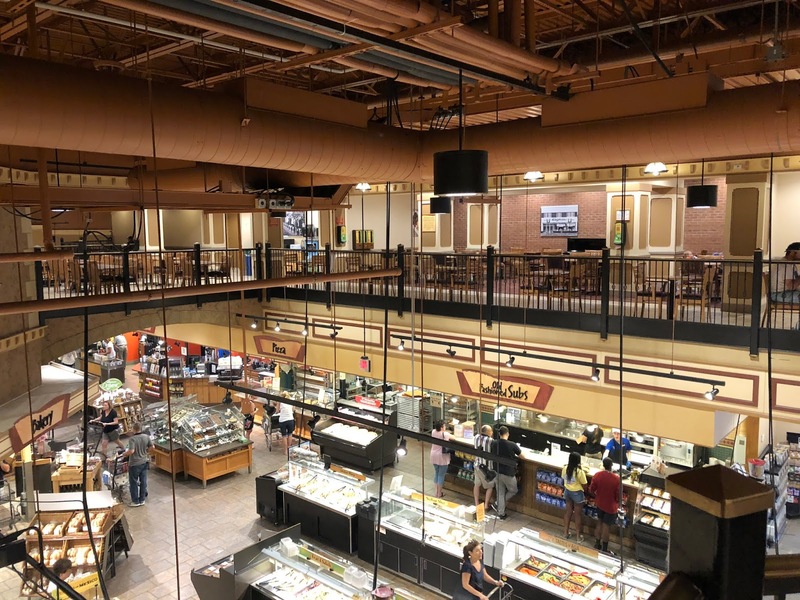 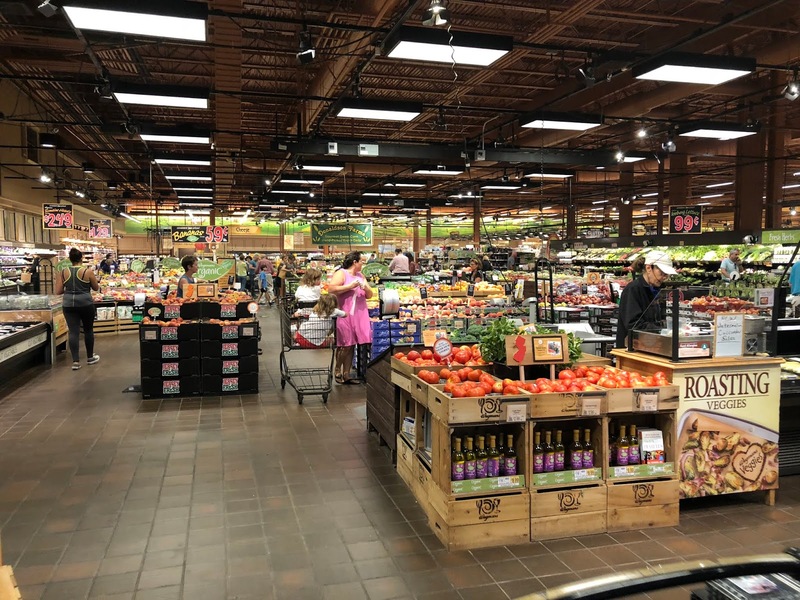 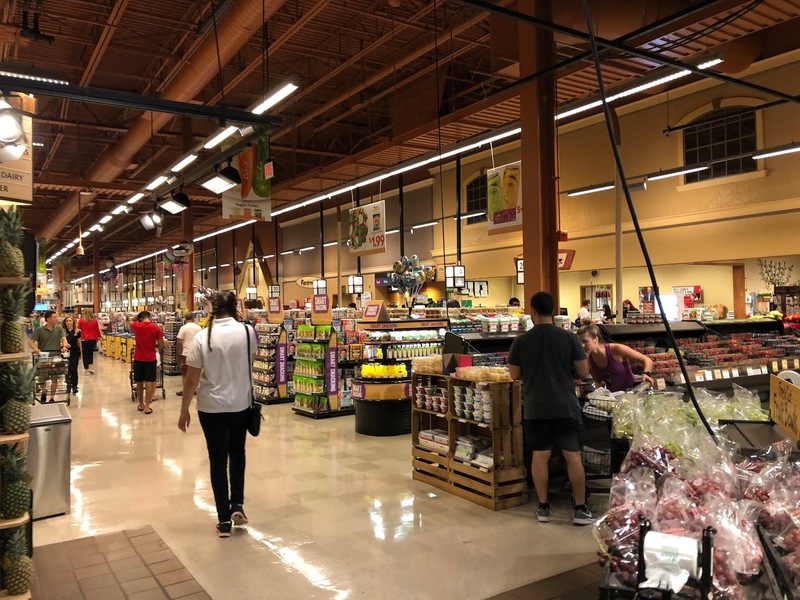 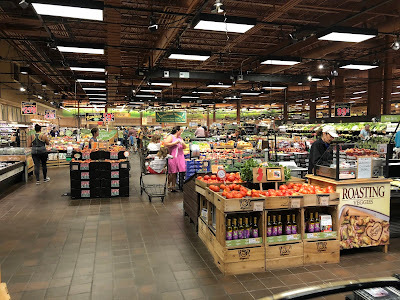 Wegmans comes to The Market Report for the first time! That's right, we're going to be touring one of the older Wegmans stores in New Jersey. This location opened in the early 2000s and is typical of the Wegmans stores of that era. 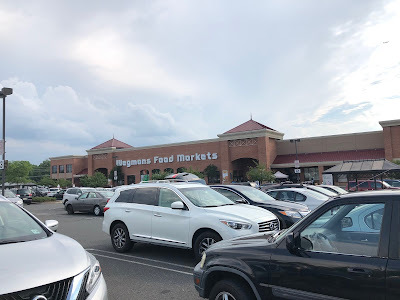 I don't know whether it's been renovated since it originally opened, but it felt practically the same as the brand-new Wegmans in Hanover/Parsippany, which I have not photographed (although I have been there). 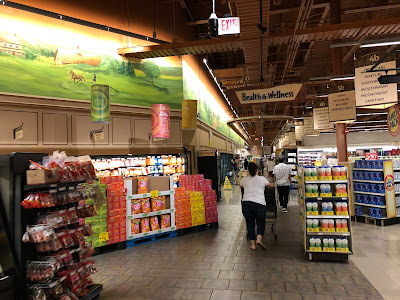 Similar to some Pathmark layouts, you enter to produce in the center, with prepared foods and other specialty departments along the left side and grocery to the right. 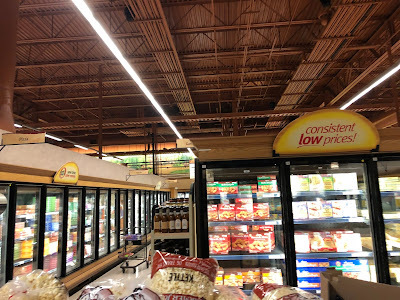 One of many things that Wegmans understands is that the floor and ceiling look great as neutral, dark colors. 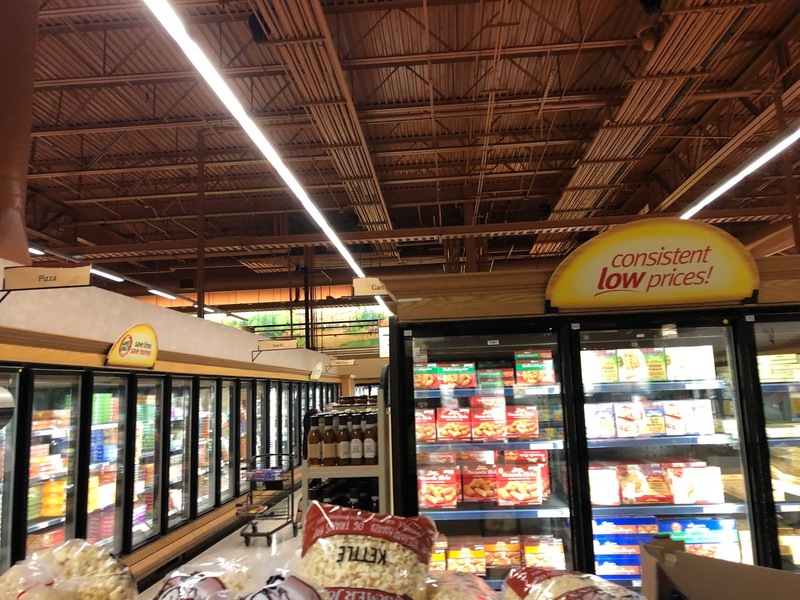 It really brings out the color in the products. A look back up towards the entrance from produce. 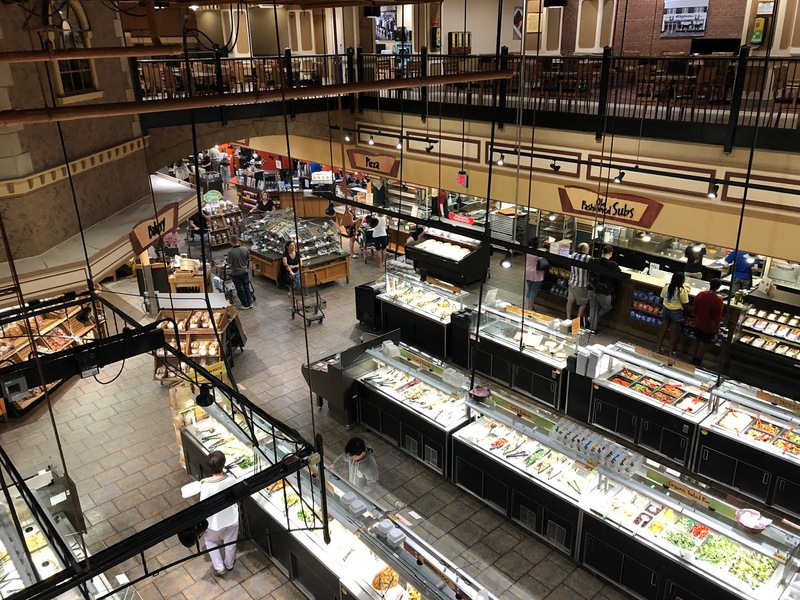 The prepared foods register is in the front corner, and a staircase to the second floor seating area is just to the left in this picture. 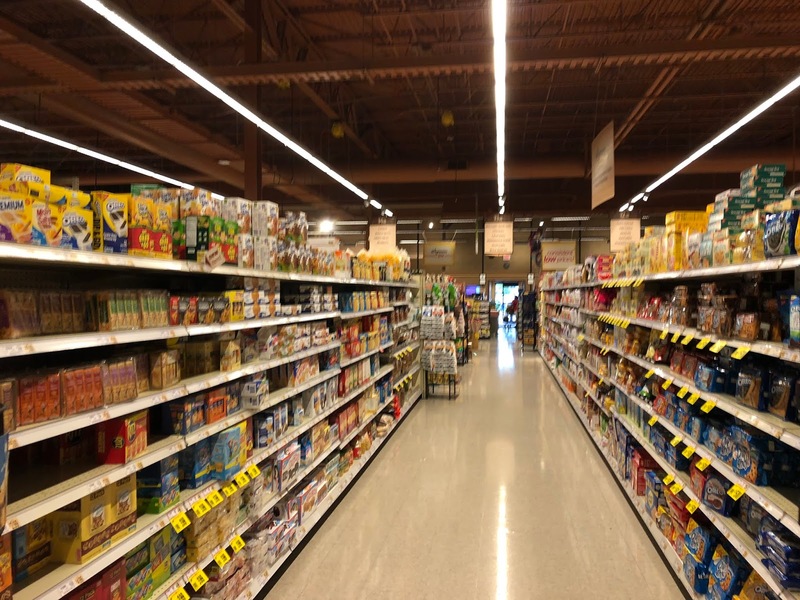 Specialty departments line the left side of the grand aisle. 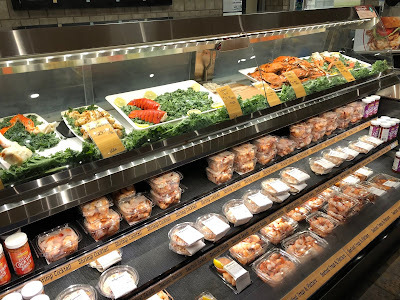 One of many seafood counters. I'm a big fan of seafood displays with fish out on ice rather than enclosed in a refrigerated case. 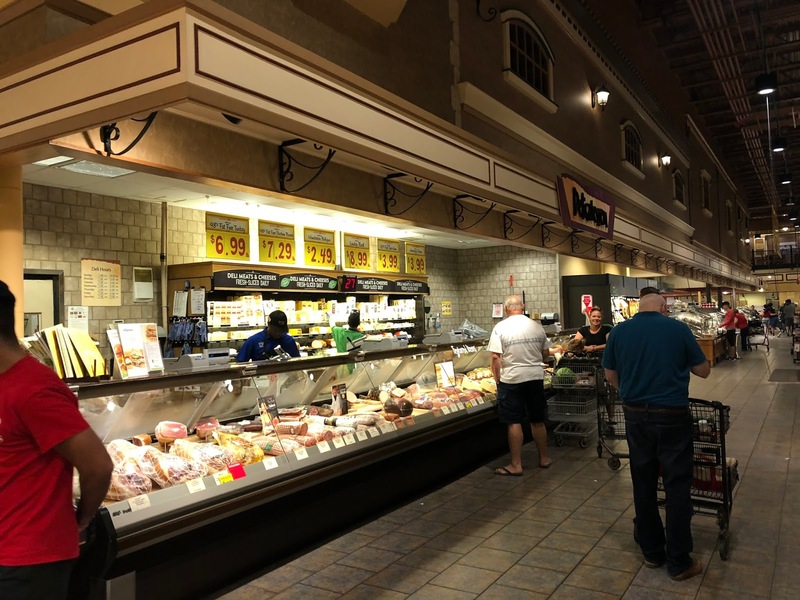 If I remember correctly, meat is next along the side wall, with deli in an island. I suppose the one problem with this decor is the tendency of the dark department signage to get lost in the overall design. 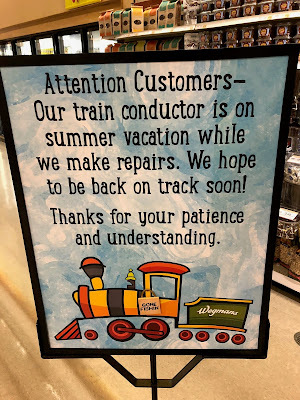 However, they probably want you to wander a while. 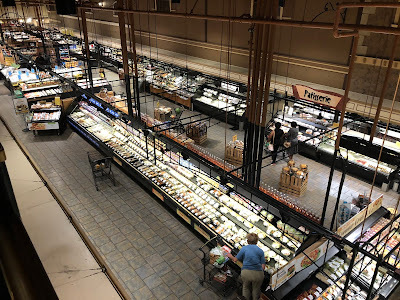 Fresh cheese island at the back of the produce aisle. 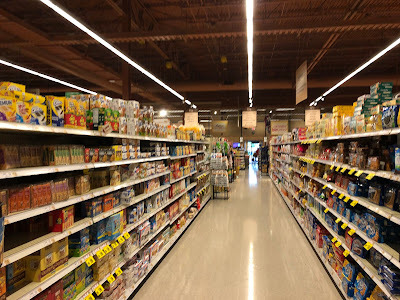 One of many nonfoods sections throughout the center store. 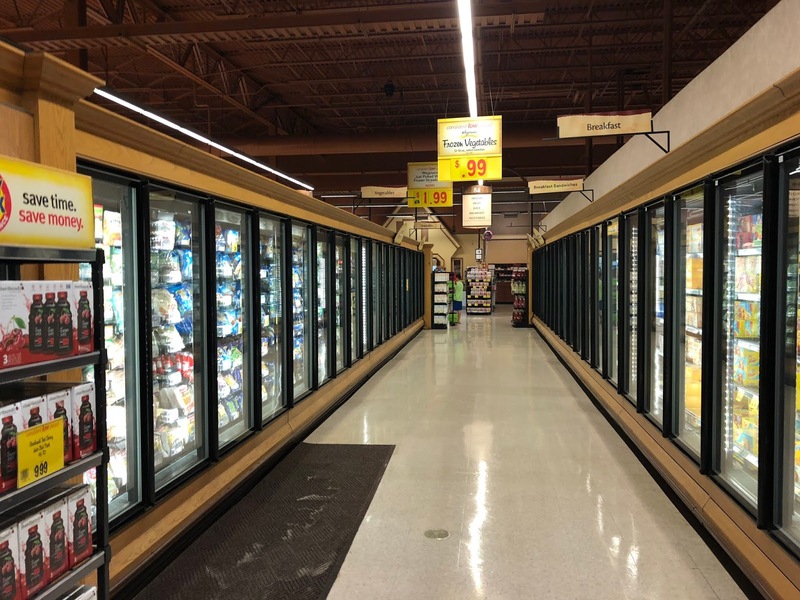 I'm not a huge fan of buying nonfoods items at grocery stores, but I guess it's convenient for some people. Pharmacy is at the end of the nonfoods section in an island in the grocery aisles. 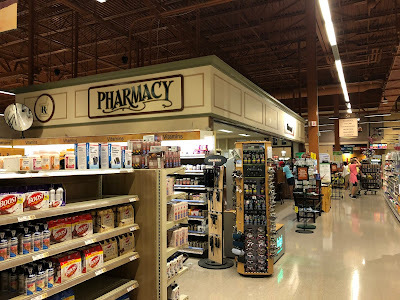 I wonder if this Pharmacy sign is left over from a previous renovation, as it doesn't seem to match the rest of the decor. Frozen foods in the middle of the store. A look back down towards produce and the grand aisle. Liquor store on the far end of the supermarket. Bakery and deli in an island; produce is on the other side. Prepared foods, seafood, and butcher are under us in this photo. Looking over the huge prepared food bars towards the entrance. 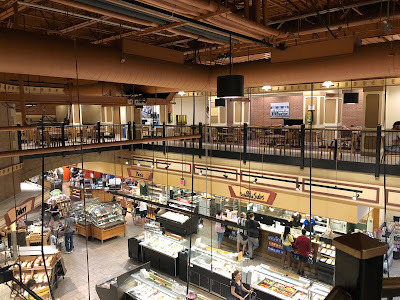 I wonder whether all of these seats are ever occupied here on the second floor! 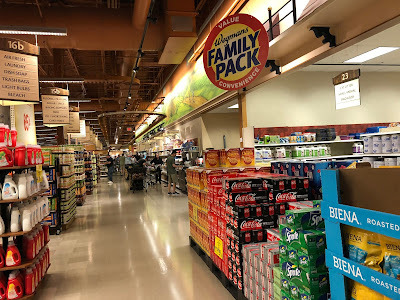 Visit a New Supermarket Blog! 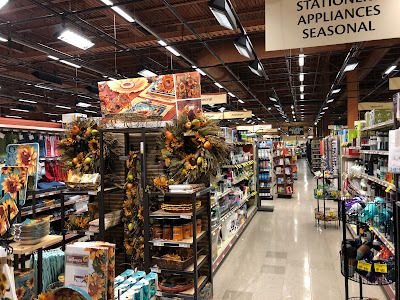 The Stoplight Blog launched on Friday and focuses on Stop & Shop stores. 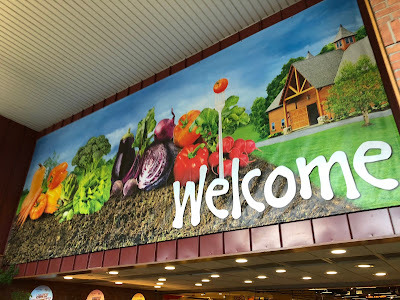 It's run by the creator of A&P Preservation and AlexWeb8 on Flickr. Go check it out!